Our latest blog post was written by Andrei Mihailiuk, one of UBC’s Classical Archaeology MA students. Enjoy! It is mid-July, about two in the morning, when the crash of lightning set off car alarms. My roommate and I are jolted awake (at least I assume he was too – then again, I once saw him sleep through his missile silo alarm for fifteen minutes straight). The sound of Vancouver rain on rooftops is like pitter-patter. This sounded more like an attempted home invasion by a legion of rabid seagulls. Somewhere in the realm beyond, Hitchcock nodded approvingly. Against all odds, the beach resort town of Sozopol, one of the gems of Bulgaria’s coastline along the Black Sea, a safe haven for Russian men in Speedos who shouldn’t wear Speedos, was witness to one of its worst thunderstorms in twenty years. In that adrenaline-fueled moment, I realized with a sudden clarity that we wouldn’t be filling our buckets with soil that morning. Sozopol wasn’t always cobble-stoned streets and pushy restaurant hosts. 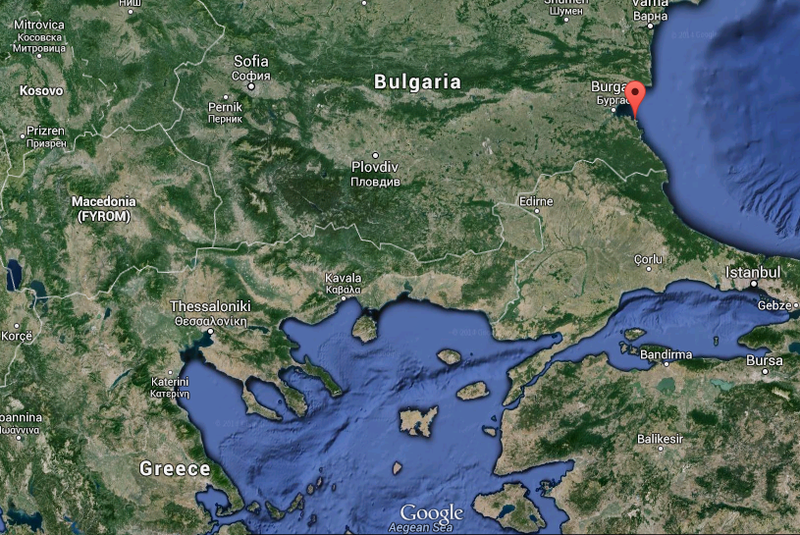 Sometime around the turn of the 6th century BCE, a group of plucky young East Greeks from Miletus, hungry for adventure and precious metals, docked their ships at the southern tip of what is now called the Bay of Burgas. The settlement they would found came to be known as Apollonia after its patron deity, but it would also go by the name Apollonia Pontica to separate it from the scores of other ancient towns of that same name (this was, after all, a time before Internet fact-checking). The scanty mentions of the town in ancient sources help us to glean a few helpful facts: it experienced some sort of vaguely defined civil upheaval during the 5th century; its sanctuary to Apollo was apparently located on an island; its independence was cut short in 72 BCE when Marcus Lucullus invaded the city. The insignia they stamped on their coins, an anchor, is often taken to mark its importance as a centre of maritime trade. 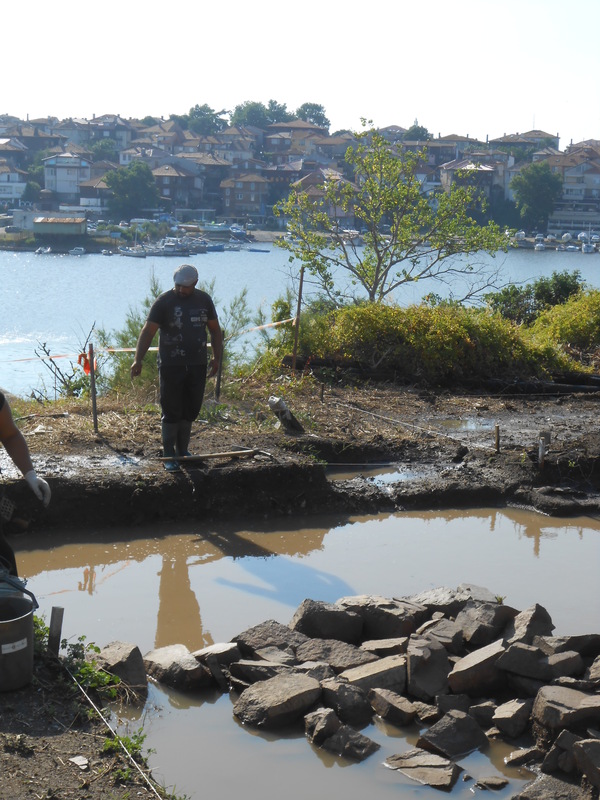 Excavations on the island of St. Kirik first began in 2009 under the aegis of the Balkan Heritage Foundation and Dr. Krastina Panayotova. 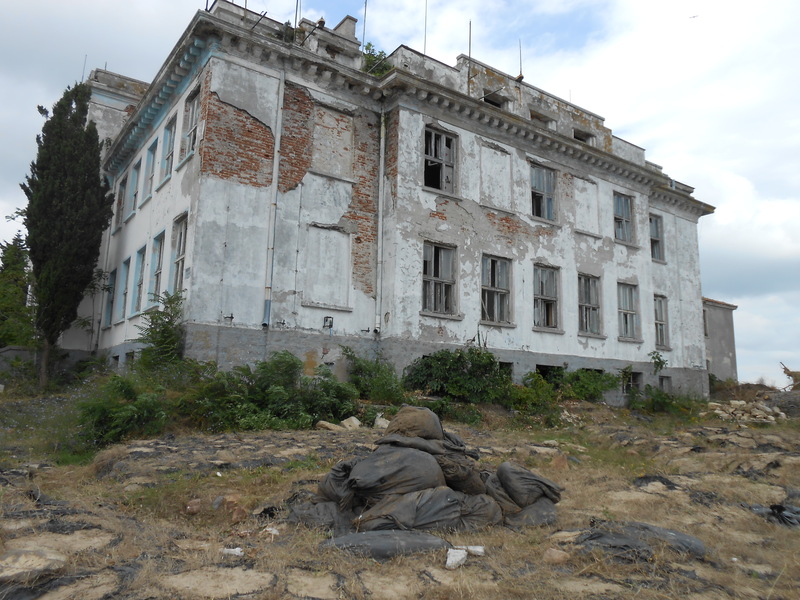 Since the 1920s, the island had been home to a naval academy, and the stripped and decaying shells of these buildings remain – one of the barracks is now used for finds storage. Its proximity to the shore made it the prime candidate in the search for Apollo’s sanctuary. 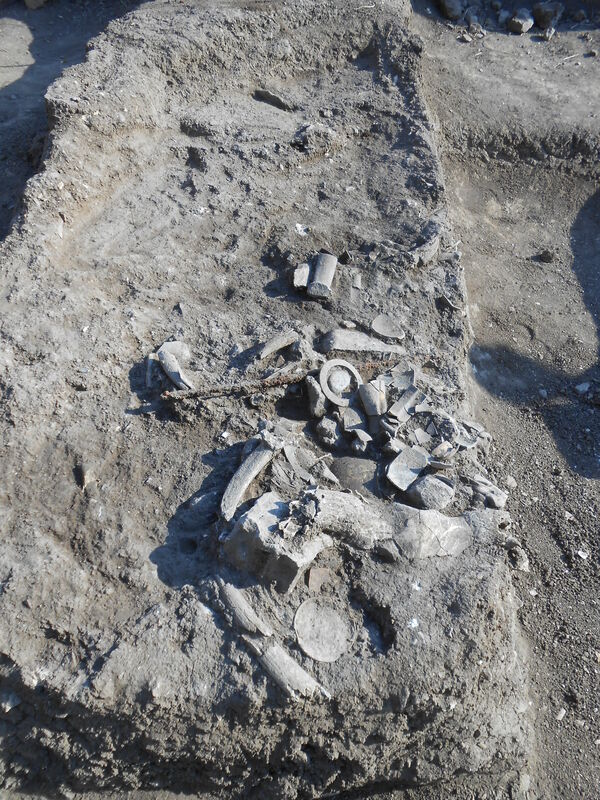 Surely enough, the foundations of a late archaic temple and altar were uncovered, but its identification with the patron deity wasn’t clinched until last year, when a clay bowl was found nearby inscribed with Apollo Iatros (Apollo the Healer). 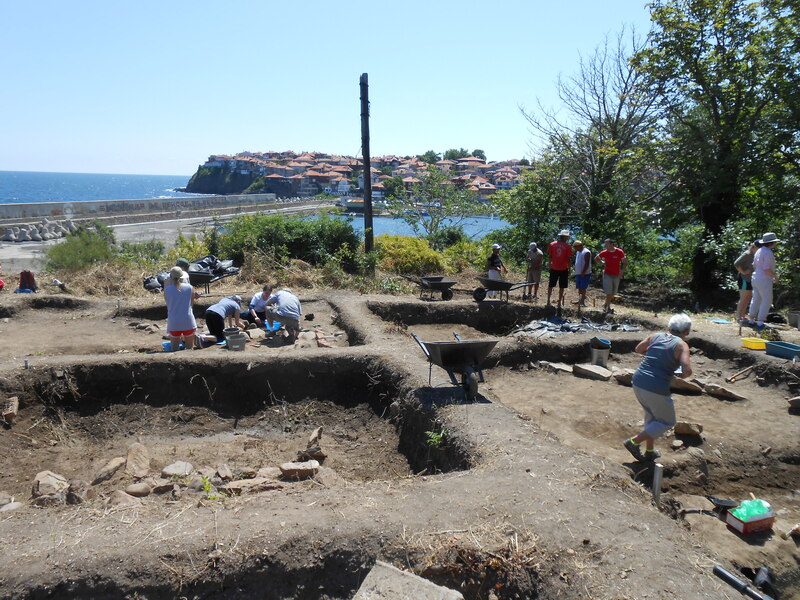 Our season’s excavations would concentrate on the island’s northeast tip, not far from the temple and another structure tentatively identified as an early Christian church. Of all the squares they could have put me in, I lucked out. Most of the others were working in mixed contexts, where it was just as likely you’d pull up a Domitianic coin as a cigarette carton. I, alongside a retired schoolteacher from Alabama and a Brazilian girl whose English was just as inscrutable, had the unique pleasure of excavating a 6th century BCE bothros, a kind of pit altar. For the first week and a half, while the others were pickaxing their sorrows away, I was carefully sifting through an embarrassment of riches: clay oil lamps, different varieties of perfume containers, intact bowls and plates, an iron rod, a bronze arrowhead and a bone game piece make up a portion of what we were pulling out of the ground. 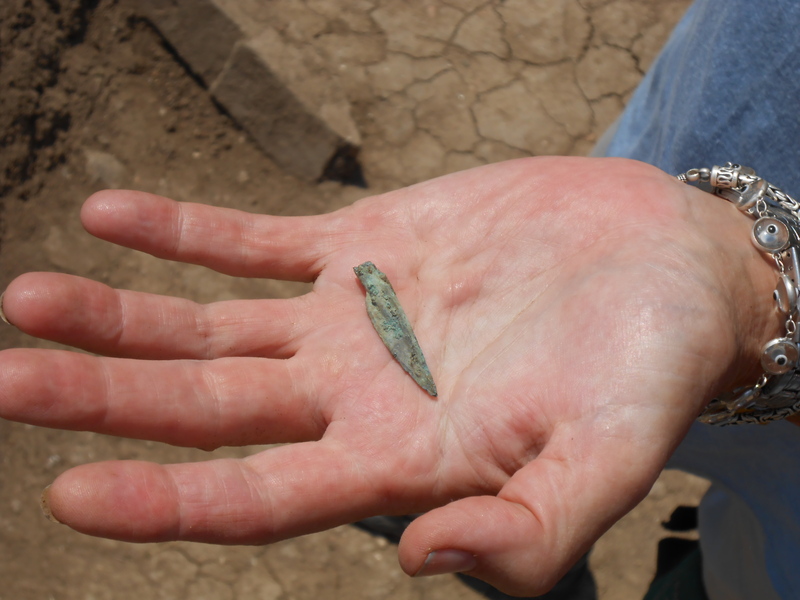 When you spend most of your days on excavations uncovering broken artifacts, the experience of finding something in one piece is uniquely gratifying. Our offsite activities consisted of a number of lectures and workshops, largely targeted at first-time diggers, but with plenty of content that you’d only know if you study Greek settlements along the Thracian coast (I don’t). The definite highlight of the lecture series was provided to us courtesy of a Bulgarian cop, who spoke about his experiences in trying to fight antiquities looting and the whole illicit industry that has been built around it. There was an audible gasp as he showed us an image of the now-pockmarked Roman site of Ratiaria, and one of our supervisors started passionately criticizing the police’s bottom-up approach. It was a very exciting two hours. A couple of excursions were worked into the schedule as well, the best of which being a megalithic site called Begliktash. 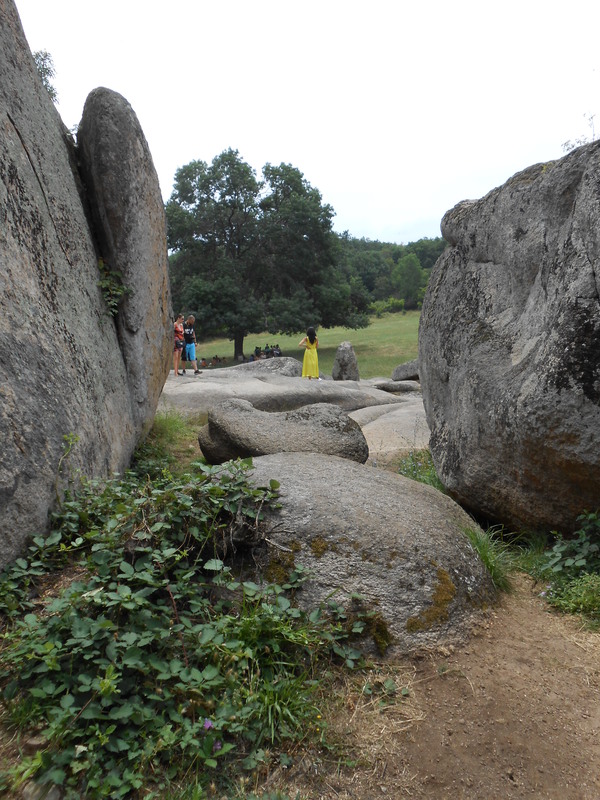 The area is a bizarre and maze-like formation of giant rocks not far from the coast. Though archaeology attests to the presence of ancient peoples in this area, there is simply no way we can reconstruct the type of ritual itinerary that the site’s tour guides provide, who have even labeled most of the rocks with plaques in Bulgarian and typo-heavy English (“Ah, so this is the Nurtial Bed.”). The site is just as arresting as a surreal natural landscape as it is an example of academic credibility in conflict with the tourism industry. Whatever this formation meant to visitors thousands of years ago, I somehow doubt it involved something as ill-conceived and pervy as the marriage of Sun God and Fertility Goddess. Luckily, when the rain hit, we were already two weeks into our season, and after a day bailing out our squares in bucket lines, we were pretty quickly able to resume digging. I pause to scan my surroundings. To my left: the imposing and overgrown façade of the naval academy, complete with Art Deco tower. To my right: the concrete breakwater connecting St. Kirik to Sozopol’s old town quarter, the picture of Balkan quaintness. Straight ahead: St. Ivan Island in the distance, surrounded by the open sea. There are certainly less beautiful places in the world for archaeology.